Jennifer Lam is thrilled to be returning to Building Blocks staff in 2013-14 in the preschool class. Jennifer is a certified Elementary School teacher with 4 years of experience working with students ages JK to Grade 8. In addition to teaching at Building Blocks, she is also a supply teacher for the Dufferin-Peel Catholic DSB. Jennifer received a Bachelor of Arts Specialized Honours degree in History from York University in 2007, followed by a Bachelor of Education degree from Trent University in 2008. Her B.Ed program concluded with a 3-week alternative placement at Building Blocks. 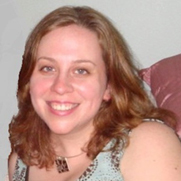 Jennifer’s additional teaching qualifications include courses in ESL, Special Education and reading instruction. Jennifer has an artistic background, graduating from Mayfield Secondary School’s Regional Arts Program in Visual Arts in 2002. Jennifer also draws, writes and self-publishes a series of children’s comic books called The Adventures of Lollipop (under her maiden name Jennifer Cuthbert). Jennifer is looking forward to inspiring the children’s creativity and self-expression as they create a variety of works of art based on the school’s weekly themes. Jennifer grew up in Brampton, not far from Building Blocks. She now lives in Georgetown with her husband, Perry. Jennifer enjoys art, music, movies and cooking.